The SHRC considered the following nominations at their regularly scheduled hearing on February 8, 2013. They recommended the State Historic Preservation Officer (SHPO) forward 10 National Register nominations to the Keeper of the National Register for listing. They also added one property to the California Points of Historical Interest. 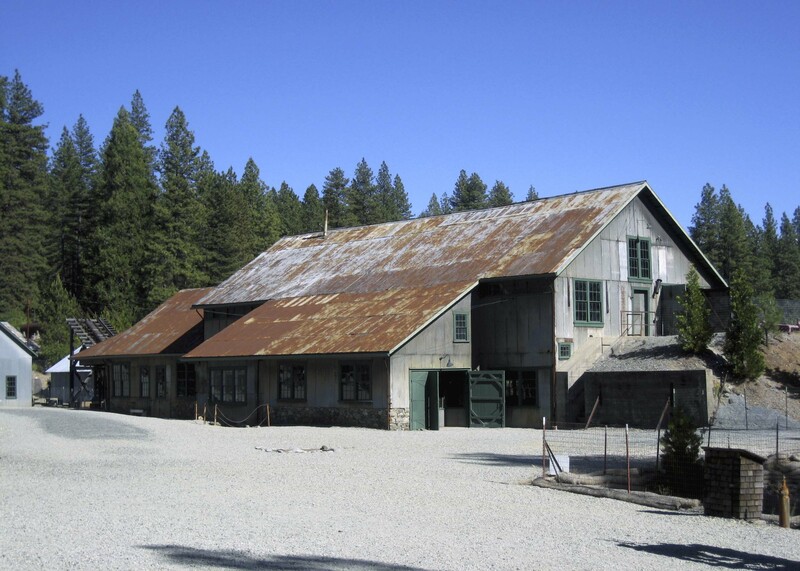 Empire Mine Historic District (Amendment) is an amendment to an existing National Register district in Empire Mine State Historic Park, near Grass Valley, California. This amendment adds more detailed information about historic resources, including architectural and mining resources, and expands the property boundary. Fender's Radio Service, Fullerton, Orange County. 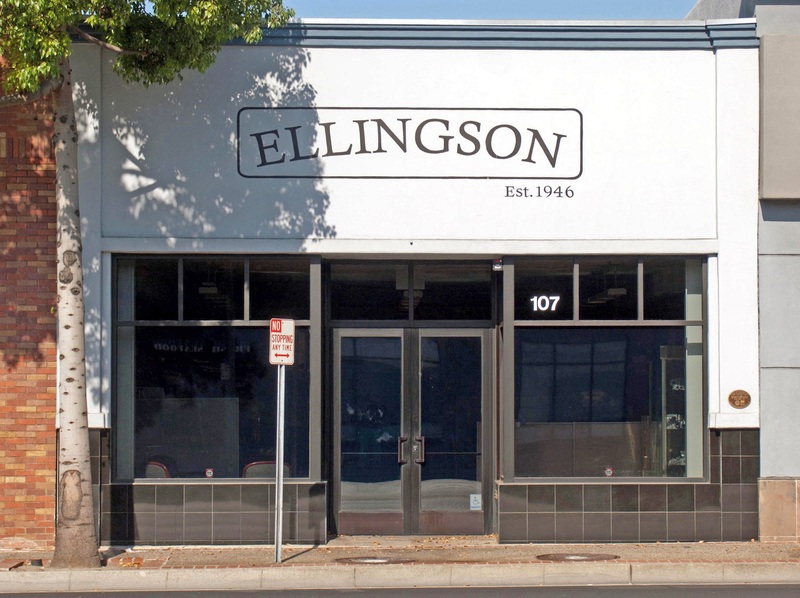 From 1944 to 1951 this modest building was the place where Leo Fender designed and manufactured his first line of amplifiers and guitars and developed the manufacturing and marketing processes that served him throughout his career. 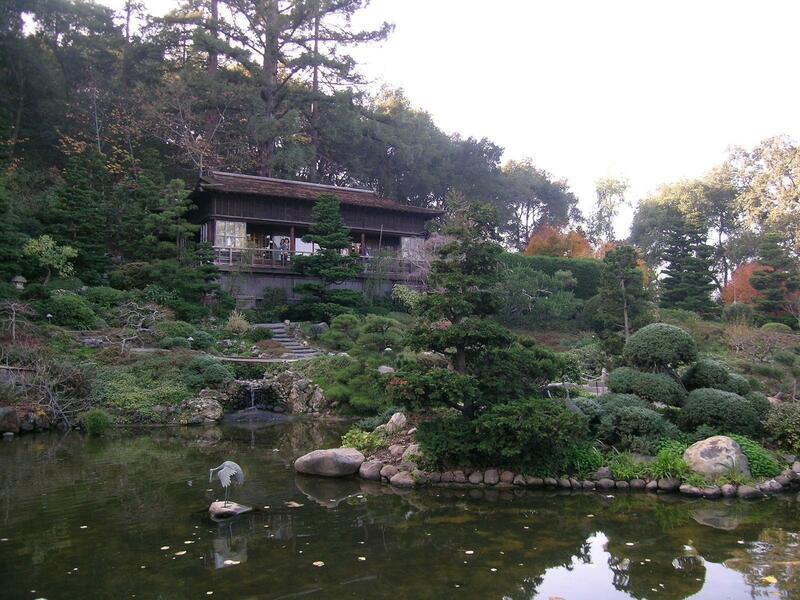 Hakone Historic District contains a series of gardens and related buildings, structures, and objects on approximately 16 acres just west of the City of Saratoga. Begun in 1917 as a private and modest summer retreat, Hakone was built during a period of renewed trade and communication between Japan and the United States during the Meiji era that began in the 1870s and peaked during the early years of the twentieth century. The Meiji era influenced both art and architecture in the United States and had a marked and lasting impact on California. 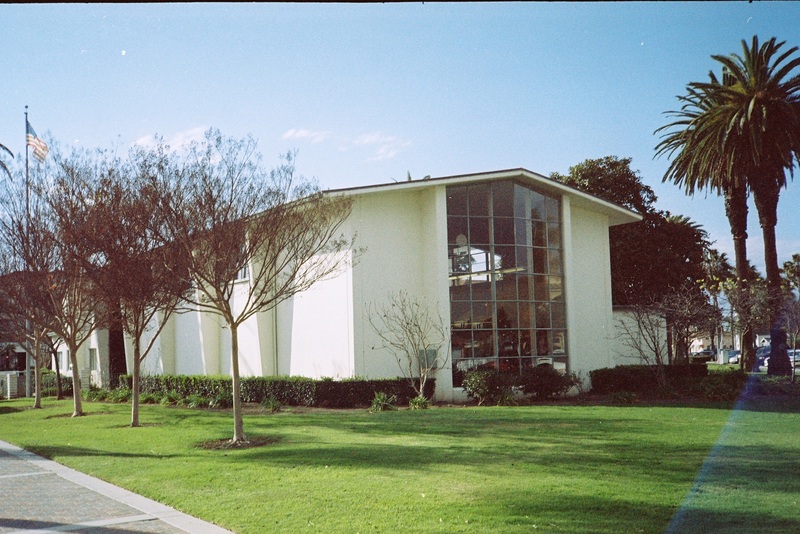 Huntington Beach Library on Triangle Park is a 1951 International Style public library built atop a triangular park designed in 1912, located in Huntington Beach, Orange County. The property is nominated for its significance as an example of site-cast concrete tilt-up construction and the property's role as a landscaped public park. 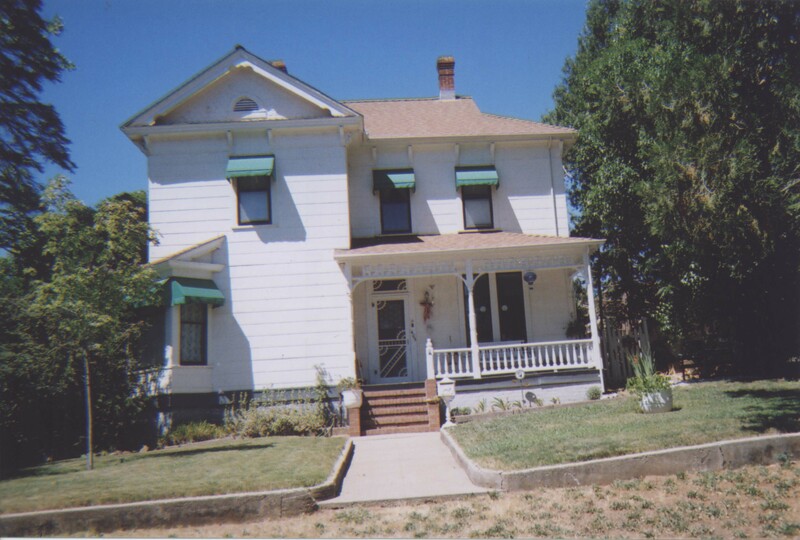 Irene Burns House is an 1898 Stick-Eastlake house in Auburn, California where Irene Burns, schoolteacher and Placer County Superintendent of Schools, lived from 1900 until her death in 1962. Irene Burns was Placer County's first female elected official, serving three terms as Superintendent of Schools, and a significant figure in the history of special education. After serving as superintendent, she established the "Burns School" in San Francisco and opened a boarding school for developmentally disabled students in her own home. Rhoades Ranch is a 12.27 acre ranch in Morgan Hill, Santa Clara County. The property is associated with Harold Thomas, a significant figure in California's strawberry industry, and includes the Rhoades House, a Spanish Eclectic home designed by master architcts Howard Higbie and Andrew P. Hill Junior. Robert Dollar Residence. 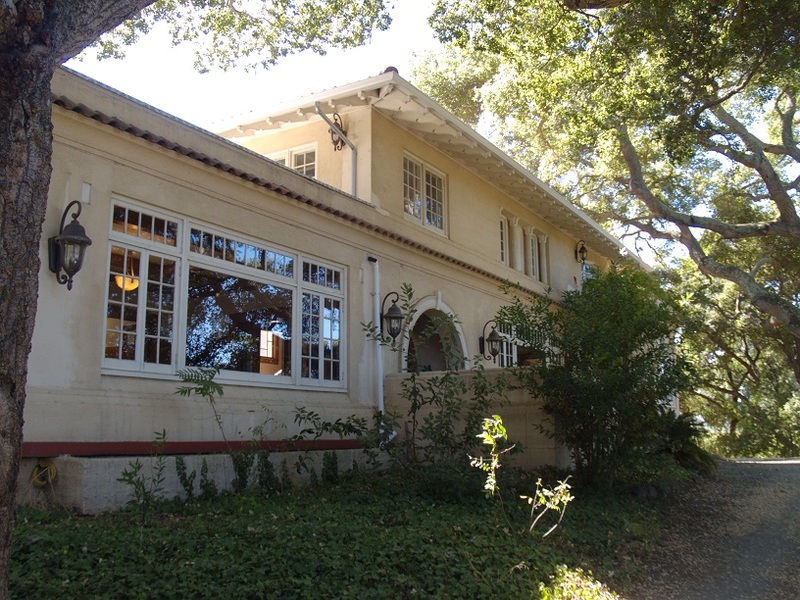 Located in Walnut Creek, the Dollar House was weekend retreat of shipping magnate Robert Stanley Dollar Sr.
San Diego Athletic Club is an excellent example of Late Gothic Revival and Art Deco architecture in the ziggurat form and the only example of this style in the City of San Diego. 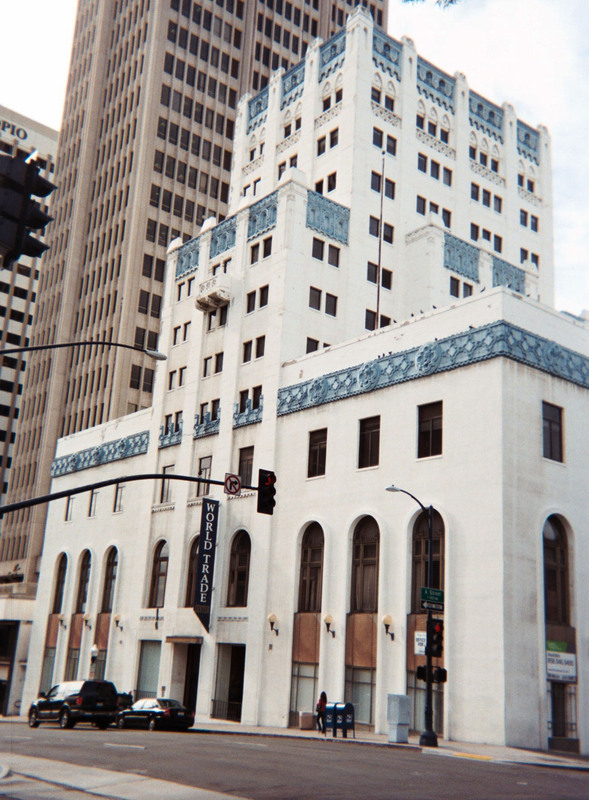 The 1928 building was used as the San Diego Athletic Club from 1928 to 1964, converted to office use in 1969-1970, and is undergoing rehabilitation in accordance with Secretary of the Interior’s Standards for new use as housing. Trestles Historic District is world-renowned for its consistent, near perfect waves. Trestles provides some of the best year-round surfing waves in California, an area with the greatest concentration of surfers in the world. For over 70 years the district has been associated with events and activities that have played a significant role in the evolution of surfing as a sport which is an integral part of Southern California’s identity as a beach culture. 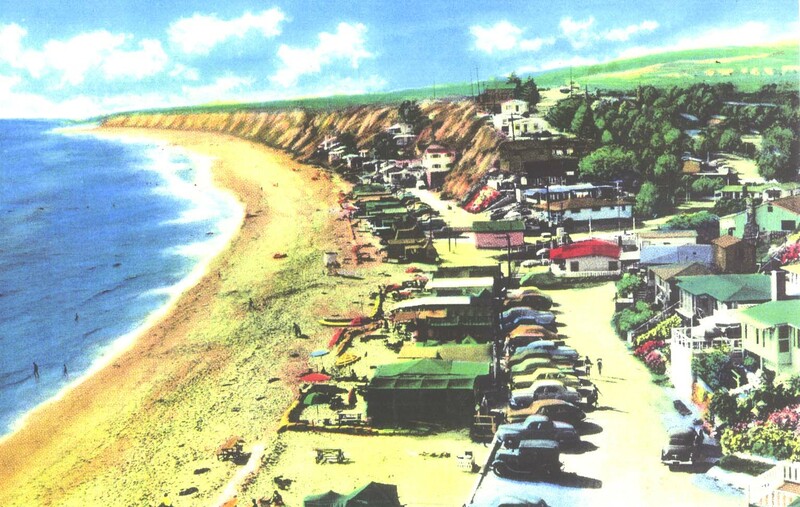 The district’s character defining historic landscape elements have attracted pioneering local surfers since 1933, and have been the site of surfing competitions since 1938. The physical isolation and absence of commercial growth encouraged the development of a society whose lifestyle and unique culture would later personify Southern California and influence surfing worldwide. 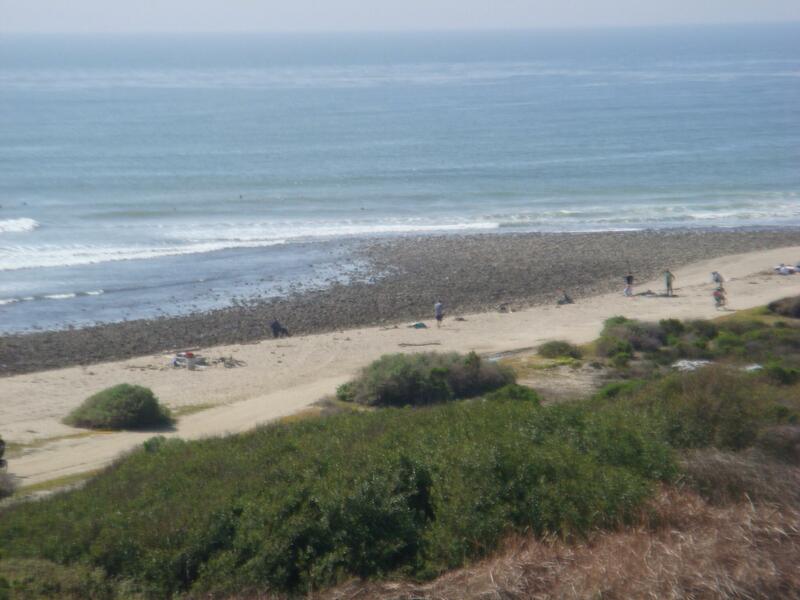 Trestles’ contributing resources include seven surf breaks identified from north to south as Upper Trestles (Uppers), Lower Trestles (Lowers), Middles, Church, The Point, Old Man’s, and Dog Patch. Trestles is located at the mouth of the San Mateo Creek within the larger boundaries of San Onofre State Beach, leased by the State of California under a fifty-year agreement with the Department of the Navy. Included within the district boundary are the two noncontributing railroad trestles for which the district is named. Visalia Fox Theater. 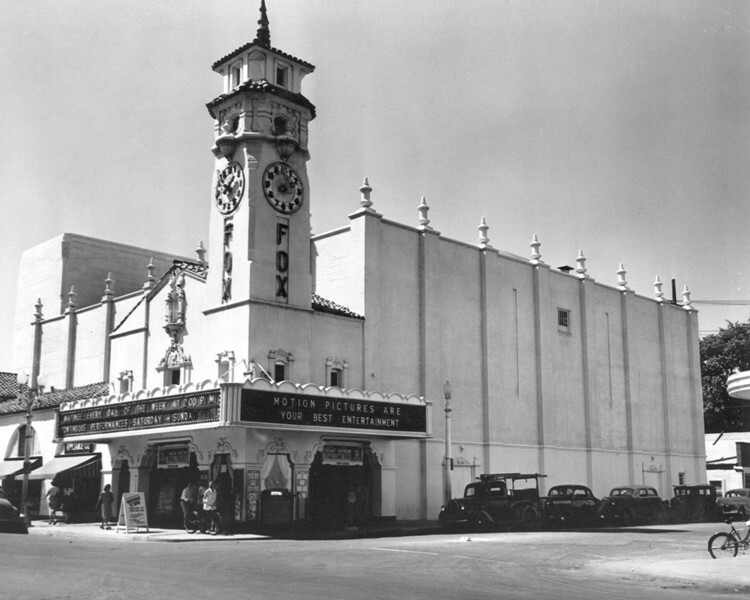 Constructed in the Spanish Revival Tradition and completed in 1930, the Visalia Fox Theater became the focal point of nearly all major civic functions in Visalia and the surrounding region. Rankin Olive Grove, Martinez, Contra Costa County. An approximately four acre area in the City of Martinez’s municipal Rankin Park, Rankin Olive Grove is the last extant physical resource associated with James Beveridge Rankin (1848-1901). 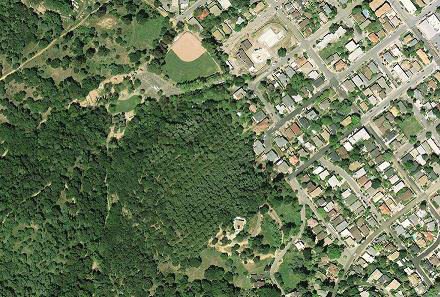 Rankin was significant to the development of Downtown Martinez socially and economically, and on his 80-acre ranch planted approximately 400 olive trees circa 1887 in a well-defined square area of still visible rows. The SHRC considered the following nominations at their regularly scheduled hearing on May 1, 2013. 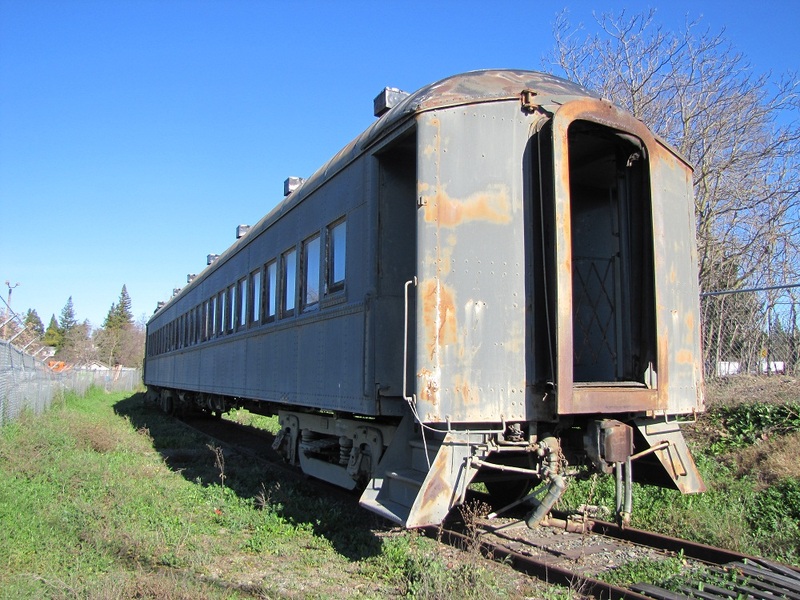 They recommended the State Historic Preservation Officer (SHPO) forward 32 National Register nominations to the Keeper of the National Register for listing. They also added one property to the California Points of Historical Interest. 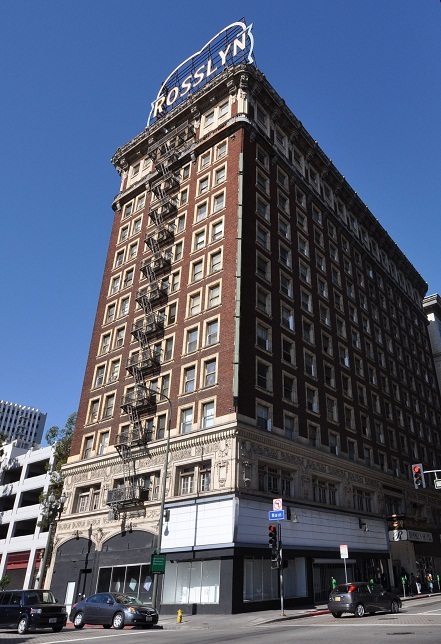 Hotel Rosslyn Annex Constructed in 1923 the Hotel Rosslyn Annex is associated with the early Twentieth Century development of downtown Los Angeles and also exhibits the distinctive characteristics of the Beaux Arts style of architecture. 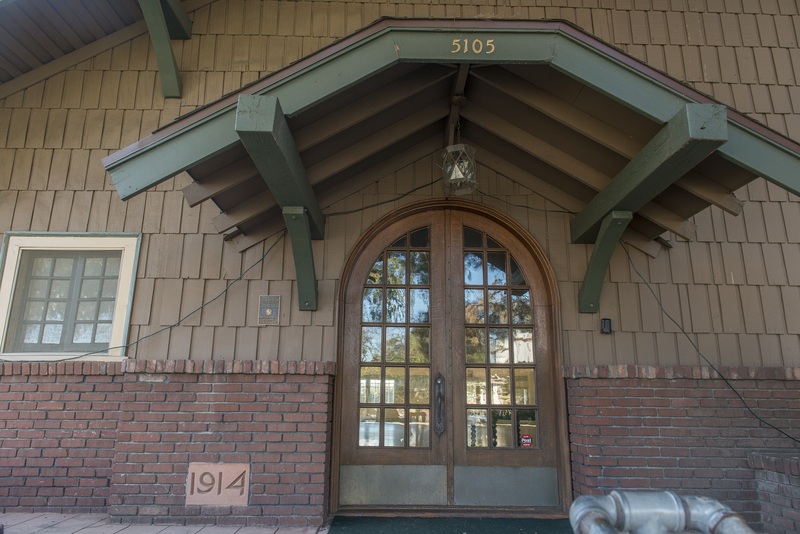 Plummer Park Commuity Clubhouse West Hollywood’s 1938 Community Clubhouse is historically significant for its association with the Works Progress Administration and as an excellent example of Spanish Colonial Revival Architecture. Vallejo Old City Hall is historically significant as the center of politics and government in the City of Vallejo from 1872 to 1927. 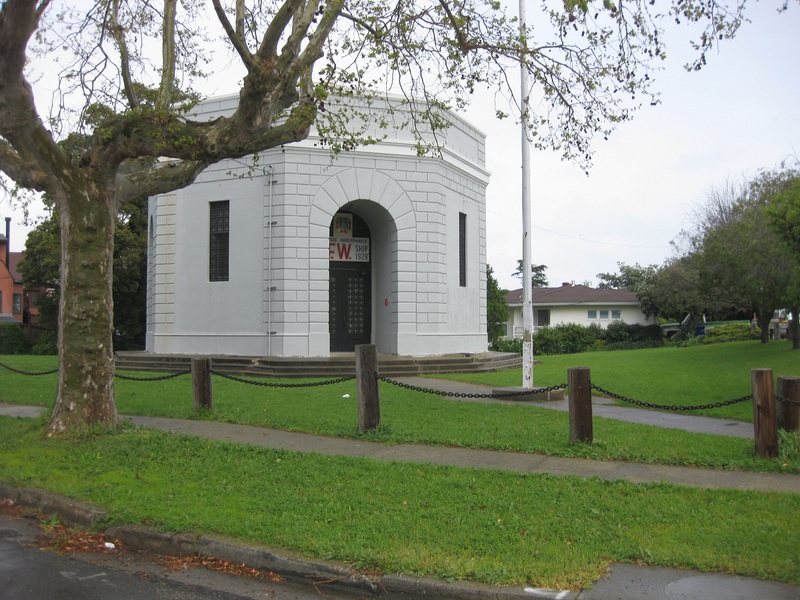 Vallejo Old Masonic Temple is significant for its association with the Freemasons fraternal organization and the role the Freemasons played in the social and cultural development of Vallejo. 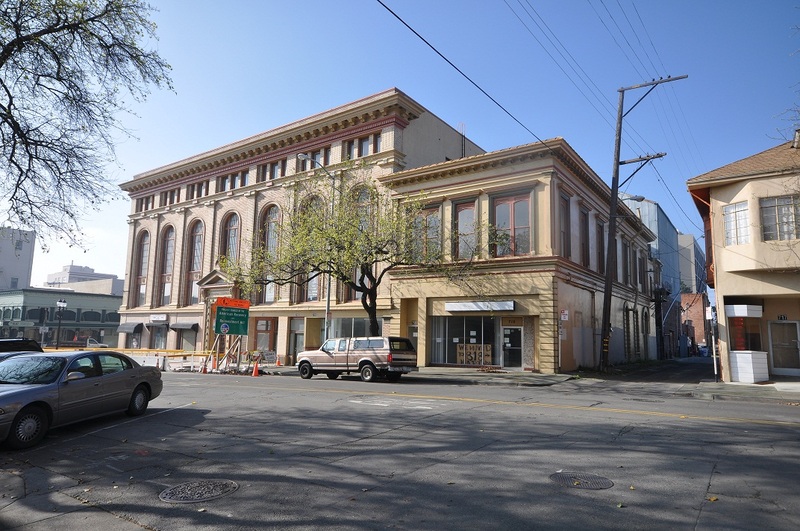 The building is also one of the outstanding examples of Classical Revival architecture in Vallejo. 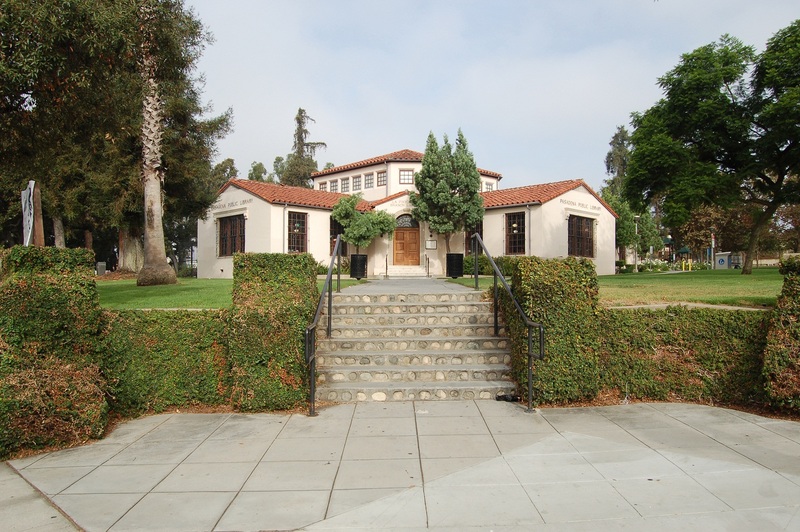 Women’s Twentieth Century Club of Eagle Rock, built in 1915, is an excellent example of Craftsman Architecture in early suburban Los Angeles. 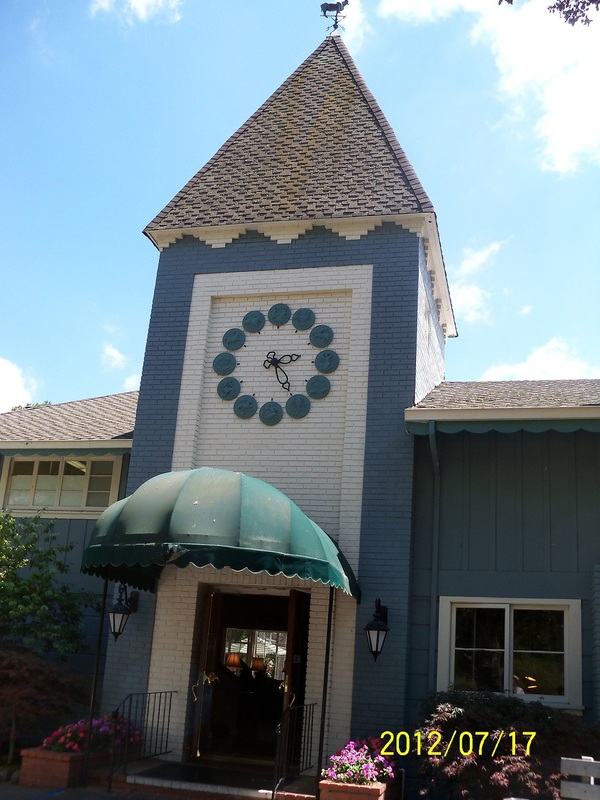 The Club House is also a local representation of the attention to women’s education, political development, and philanthropy exemplified by the women’s movement in America at the turn of the Twentieth Century. 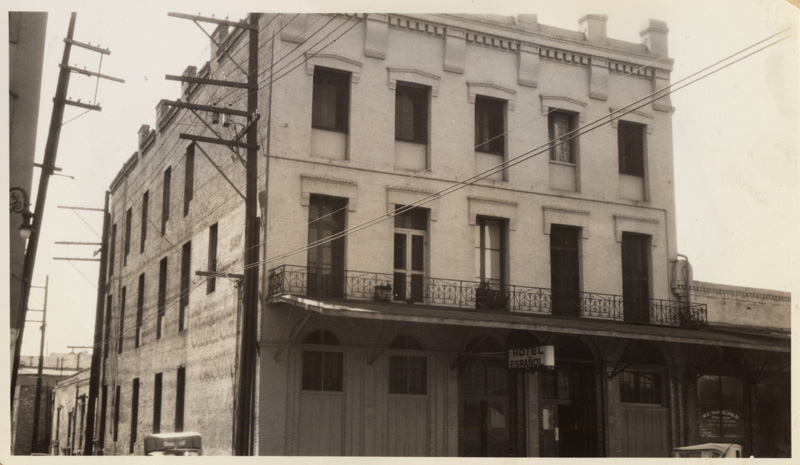 Boyle Hotel, Los Angeles, Los Angeles County. 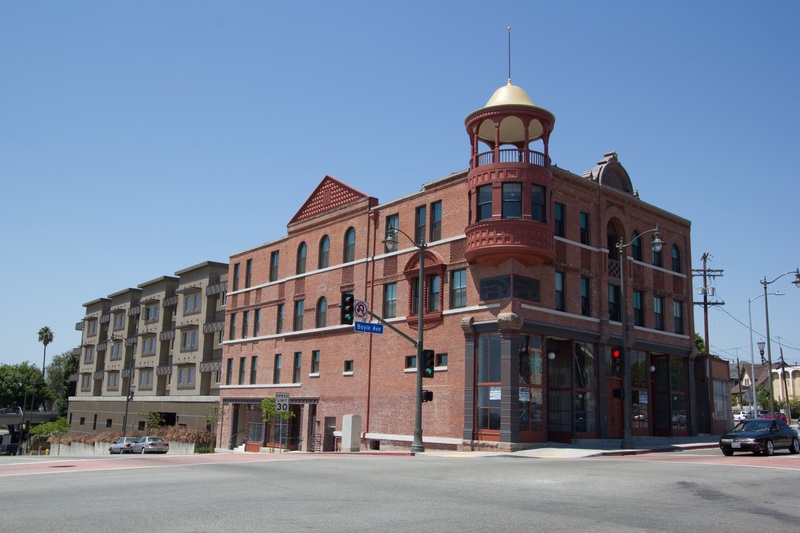 As the last remaining commercial building from the early development of Boyle Heights in the 1880s, the Queen Anne style masonry building represents the late nineteenth century transition of Los Angeles from a small city surrounded by farmland to a burgeoning city center surrounded by suburban neighborhoods. The Case Study House Program, 1945-1966 MPS. 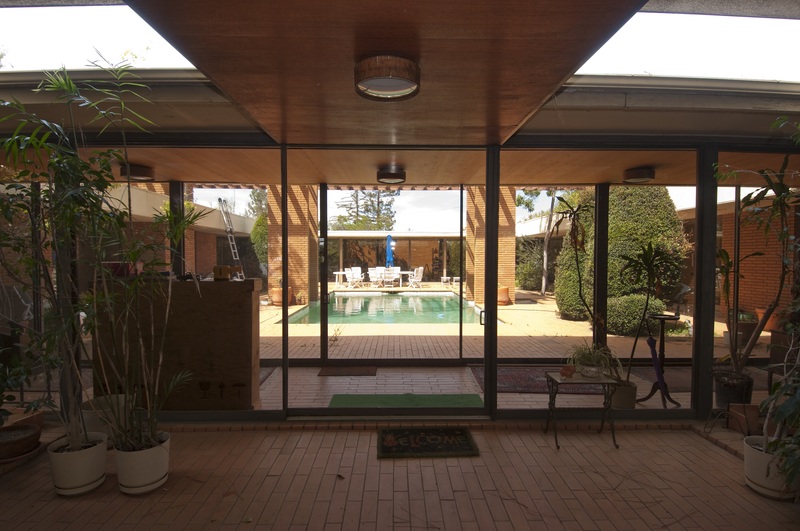 This multi-year program of experimental housing utilized a vast array of traditional and new construction methods, materials, floor plans, fixtures, finishes, furnishings, landscaping, and ways of living under the unifying banner of Modernism as interpreted by John Entenza, editor of Arts & Architecture magazine. 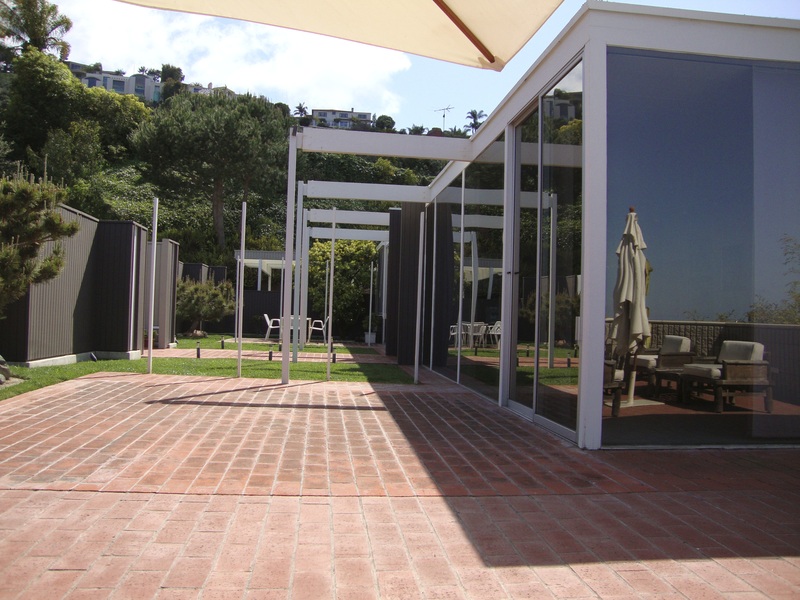 Case Study houses embody the distinctive characteristics of residential architecture associated with the Modern Movement in California, and the Case Study program in particular. Whether of wood-frame or steel-frame construction, the houses share the modern qualities of flat roofs, deep overhangs, open floor plans, extensive use of glass, indoor/outdoor flow, and concrete slab foundations. The designs reject applied ornamentation or historical references. Many of the program houses were built of modest size in keeping with the original tenets as presented in 1945. 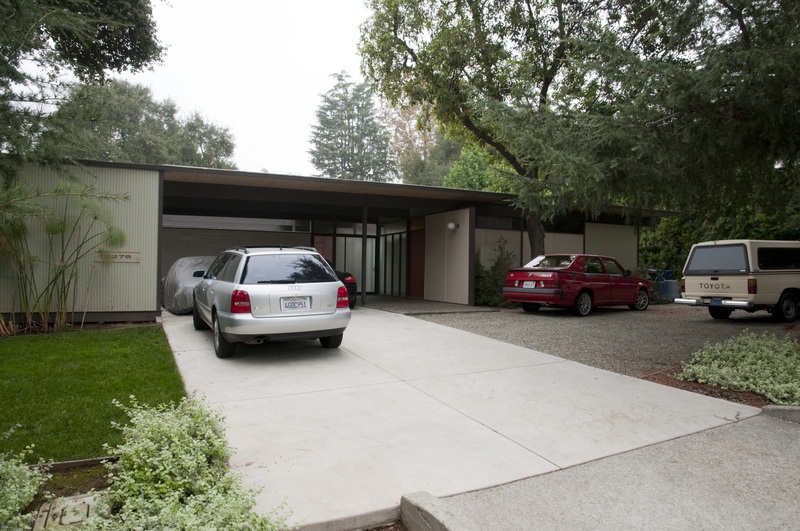 In addition, all of the houses were designed by master architects, many of whom became nationally known because of their pioneering work within the program. 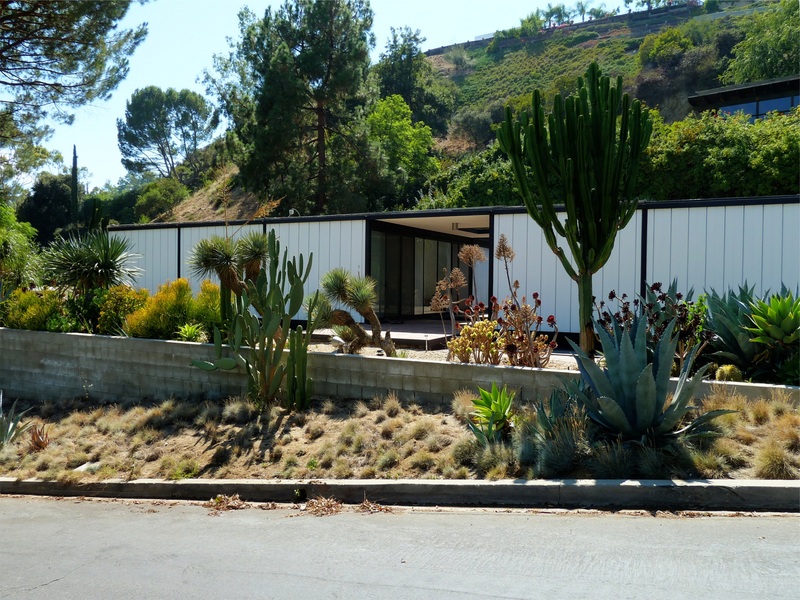 The historic properties associated with this Multiple Property Submission may be nominated for their association with events and architecture under the context: Experimental modern residential architecture of the Case Study House Program in California: 1945-1966. 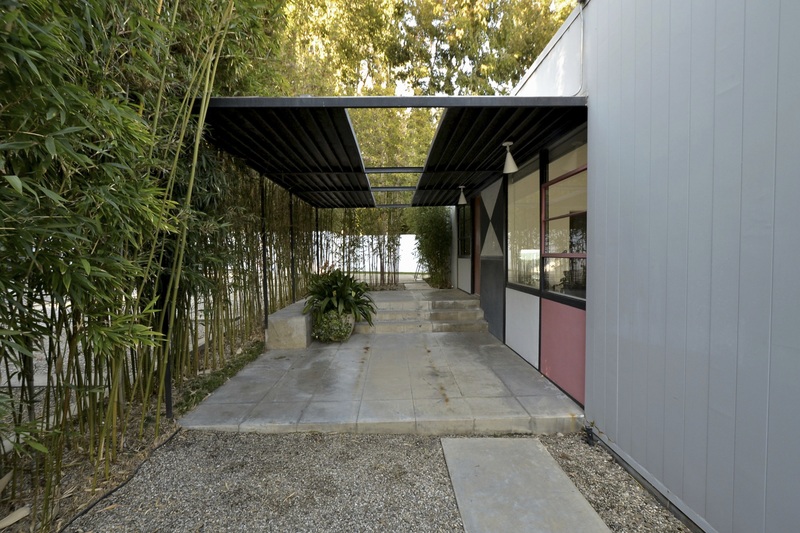 Case Study House #1 influenced the evolution of the program by introducing plywood walls, a concrete slab foundation, flat roof, sliding glass walls open to the outside for easy indoor/outdoor access, and an open floor plan. 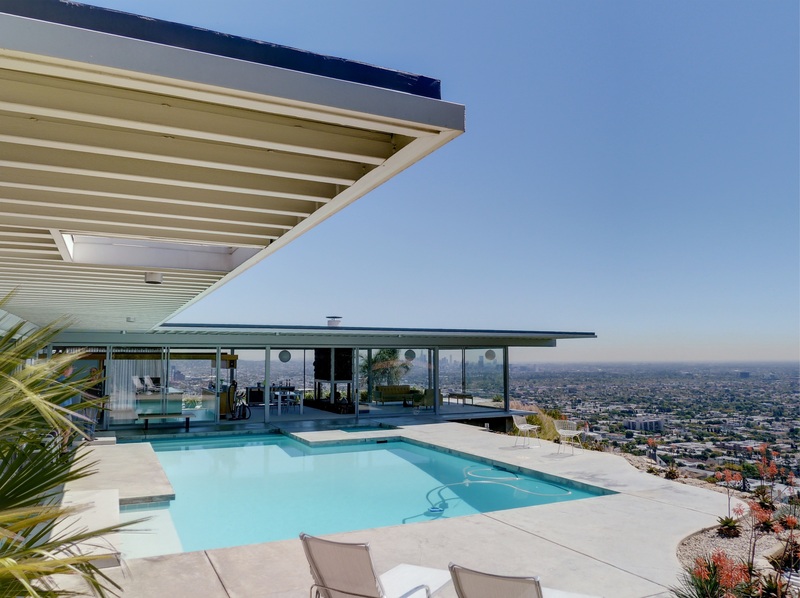 The property, completed in 1948, represents the work of master architect Julius Ralph Davidson, one of the European émigrés who jump-started California’s modern architecture movement. 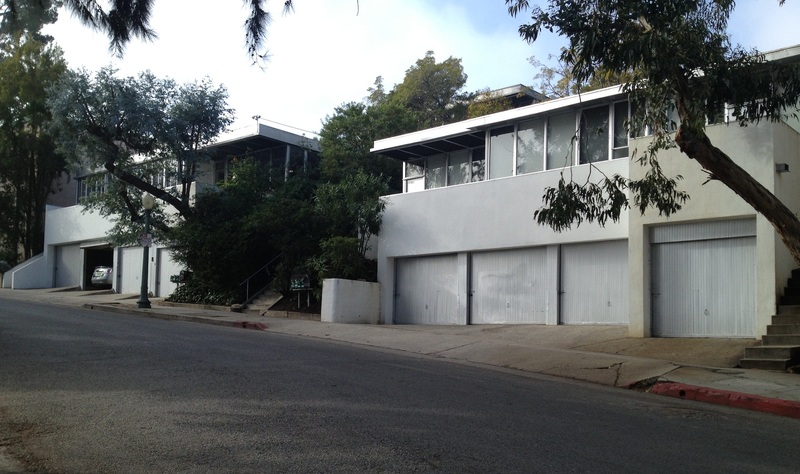 Case Study House #9 (Entenza House) was designed for Arts & Architecture publisher/editor John Entenza. 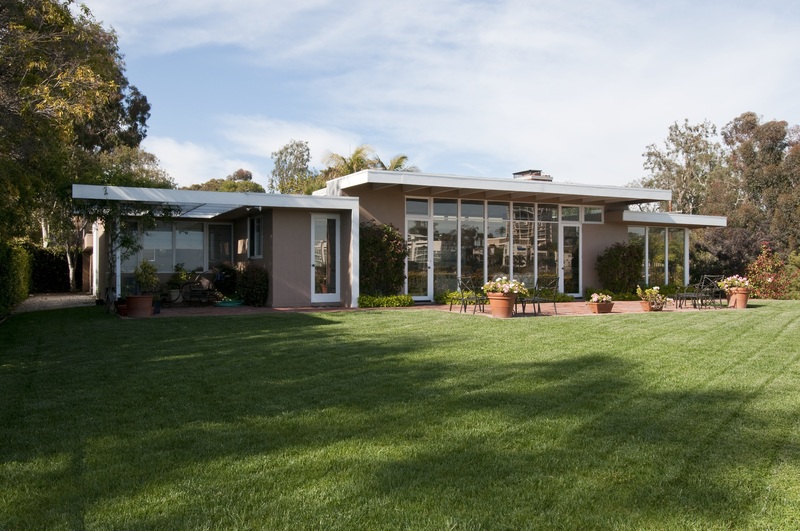 He entertained frequently, so the largest portion of the 1,600 square foot interior was devoted to an oversized bi-level living area originally overlooking the meadow-like grounds and the Pacific Ocean. Case Study House #10 was designed and built between 1945-1947 by a father and son team of architects, Kemper Nomland and Kemper Nomland Jr. 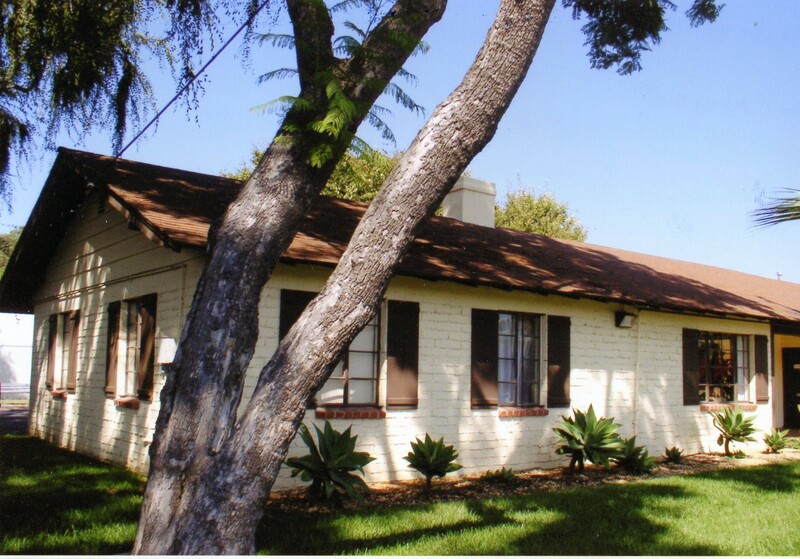 The house was added to the Case Study House program after completion in 1947 due to delays in the construction of other houses in the program and because the house exemplified a number of program goals, including the use of new building materials and techniques, affordability for the average American, simplicity of construction, economy of materials, and integration of indoor and outdoor living. 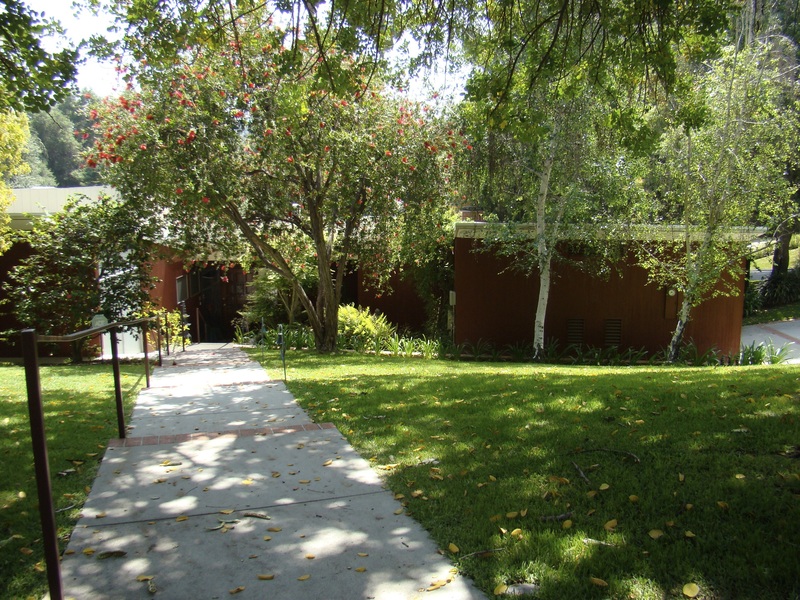 Case Study House #16 was the first of three program houses designed by Craig Ellwood, a contractor who designed this residence in 1952 with no formal architectural training. The house was innovative in its use of exposed steel structural framing, and floor-to-ceiling glass walls took advantage of spectacular views. 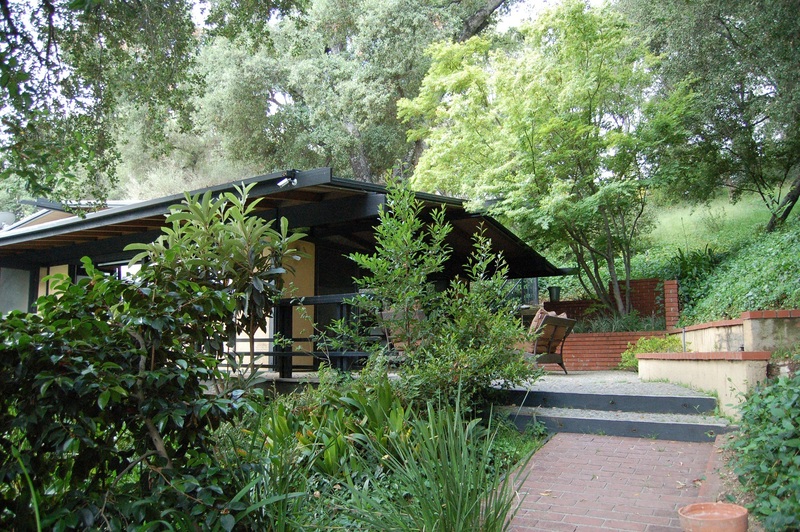 Case Study House #18 was built by Rodney A. Walker with wood framing set at three-foot intervals, which assisted in economy and efficiency in the building process. Notable in the living room is the strong presence of the large copper-sheathed brick fireplace and the raised roof with clerestory windows. Case Study House #20, Bass House, was designed for industrial and graphic designer, Saul Bass, and his wife, biochemist Dr. Ruth Bass. The post-and-beam wood construction on a concrete slab foundation features a complex roof arrangement employing prefabricated plywood barrel vaults, flat stressed skin panels, and 12-inch hollow box beams that span 16 feet and form a series of 8-foot bays. Case Study House #21 was Pierre Koenig's first Case Study house and an experiment in on-site assembly of a steel frame dwelling. It also introduced to the program the concept of using water pumped over a steel roof as an innovative means of cooling a small residence. Case Study House #22, was designed by Pierre Koenig for the Stahl family and completed in 1960. As one of the most recognizable contributors to the Case Study House program, Stahl House is an architectural statement in steel and glass cantilevered over the broad expanse of Los Angeles. Case Study House #23A. 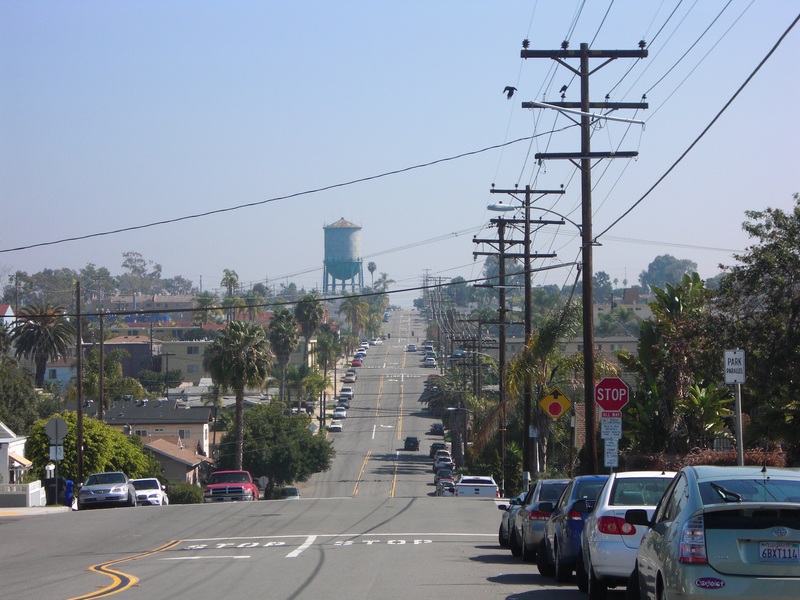 The three adjacent single-family residences of the Triad grouping were intended to be the pilot project for a large tract of houses in La Jolla, but only this Triad was ever built. The houses were designed in relation to one another, and individualized by floor plan, landscaping, and treatment of exterior sheathing. 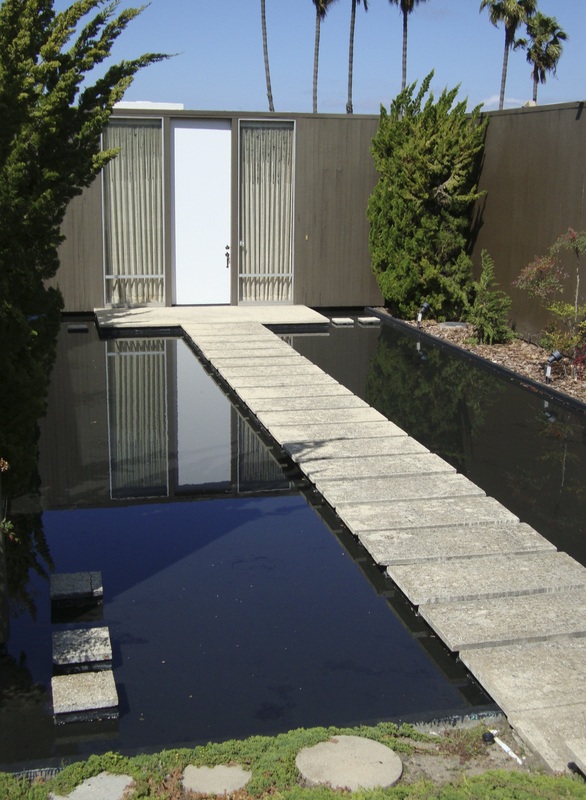 House A, the largest of the Triad, features a redwood clad exterior and a concrete step entry path across a reflecting pond. Case Study House #23C. The Triad houses also related to each other through the use of common materials, detailing, and form. House C is the simplest of the three houses; its plan is a rectangle bisected by the entry hall. 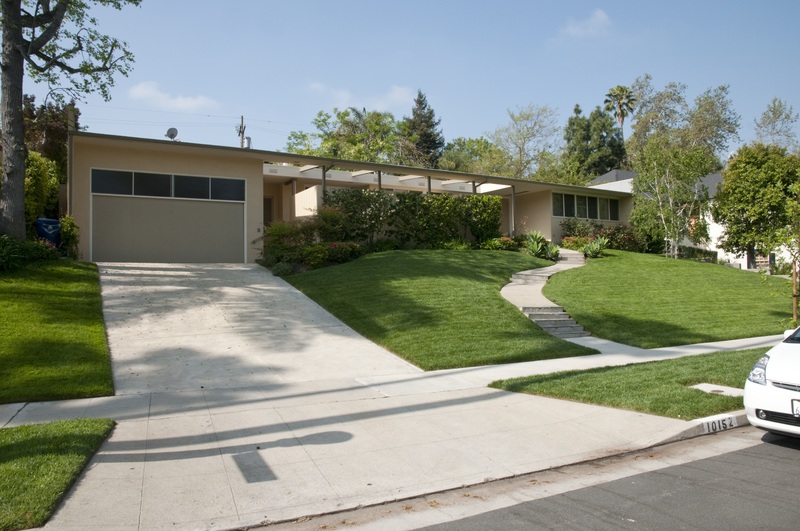 Case Study House #28 was the last single-family house built under the auspices of the Case Study program. At 5000 square feet, it is also among the largest. 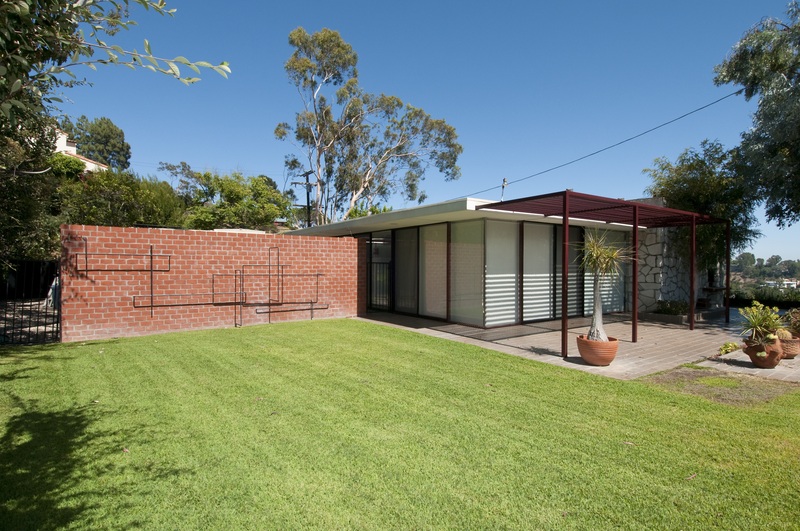 Completed by Conrad Buff and Donald Hensman in 1966, the house is of steel frame construction, sheathed in face brick tempered through the extensive use of glass walls. 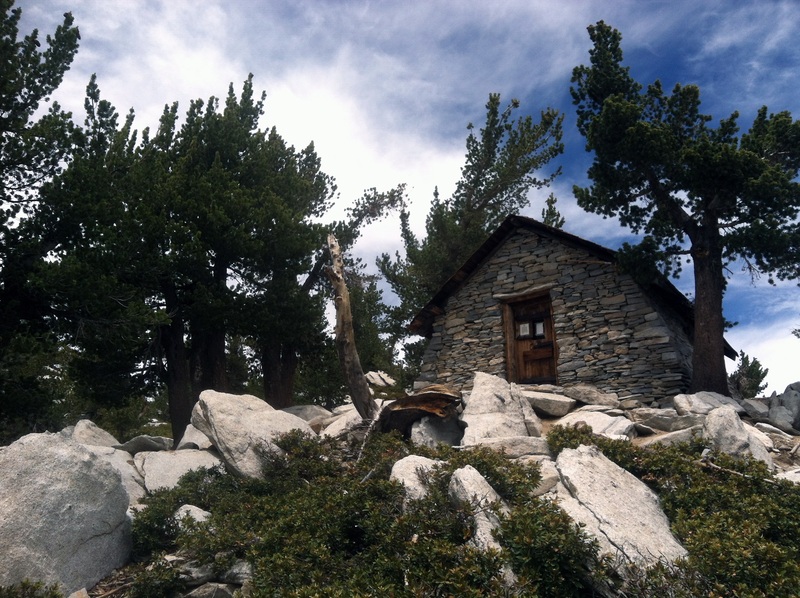 Mount San Jacinto State Park Historic District. Located in Riverside County, the district contains buildings, structures, objects, and landscape improvements representative of the cooperative work among the National Park Service, Civilian Conservation Corps, and California State Parks. The first period of significance 1934 to 1942 is associated with the largest cooperative effort between state and federal governments to improve publicly owned parks throughout the United States during the Great Depression of the 1930s. 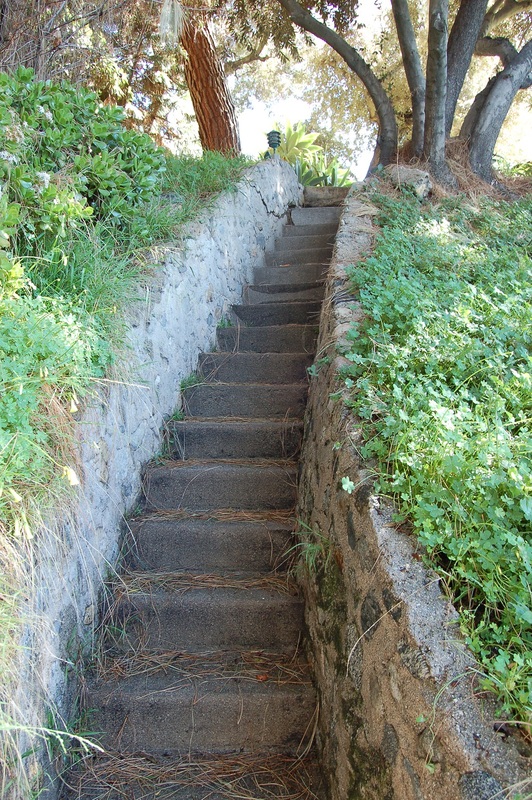 The second period, 1947 to 1965, is associated with California State Parks’ state-wide effort to improve its parks in response to increased postwar demands. University Heights Water Storage & Pumping Station Historic District. The city-owned district’s most visible contributing resource is an elevated water storage tower known as the “Tin Man” among local residents. At over 127 feet tall, the 1.2 million gallon capacity steel tank was reportedly the “world’s tallest” at the time of its construction in 1924, and due to few multi-story buildings in the neighborhood, remains visible from as far as three miles away in any direction. 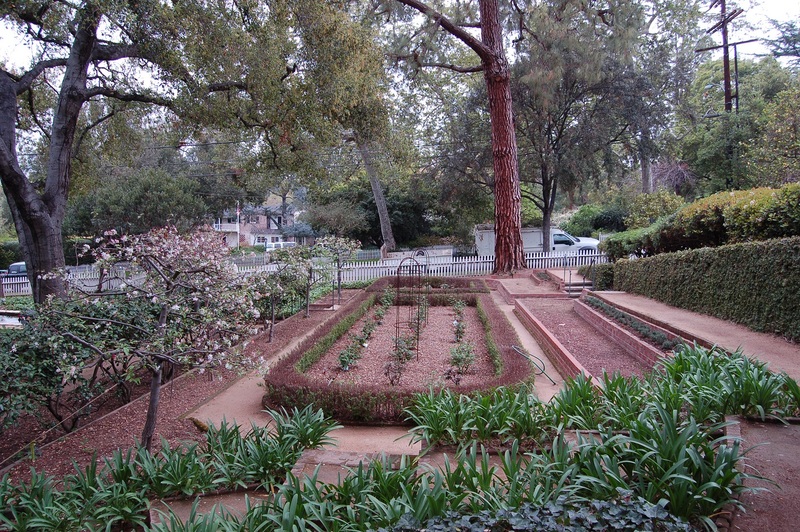 Historic Designed Gardens in Pasadena, 1873-1975 MPS establishes a common historic context for designed gardens and landscapes in Pasadena, Los Angeles County, California, including landscapes associated with early settlement, landscape design from Arts and Crafts through California Modern, and public parks of the inter-war and postwar eras. Associated property types include resorts and estate gardens, residential gardens, garden apartments and municipal parks. Richard & Mary Alice Frank Garden is a private residential designed garden built in 1957 to a design by Garrett Eckbo. 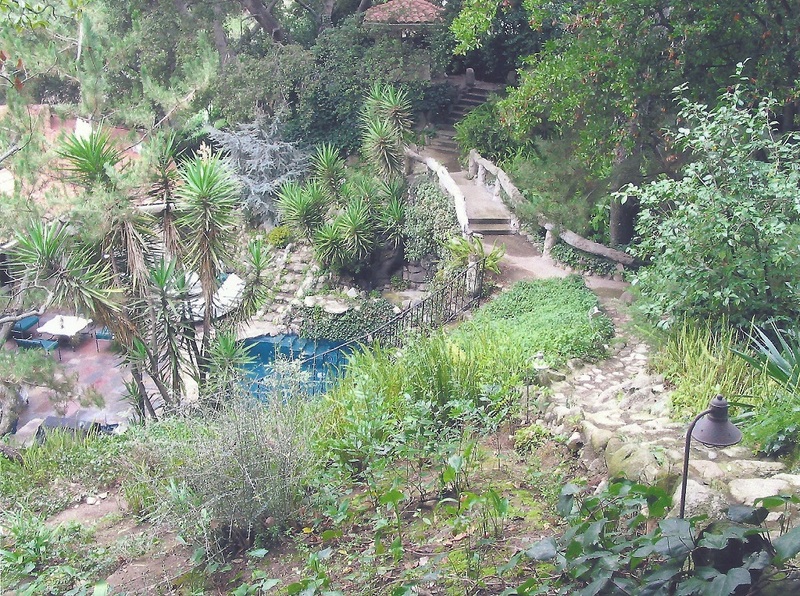 The garden is divided into three components: an entry garden, a pool area, and the connecting space between these components. Herbert Hoover Jr. & Margaret Watson Garden was designed in 1962 by landscape architect Thomas Church, and includes a plant house built in 1965. The garden was designed for Herbert Hoover Jr., son of U.S. President Herbert Hoover. Batchelder/Dean Garden is a private residential garden built in 1910 designed by Francis Dean of the landscape architecture firm EDAW. 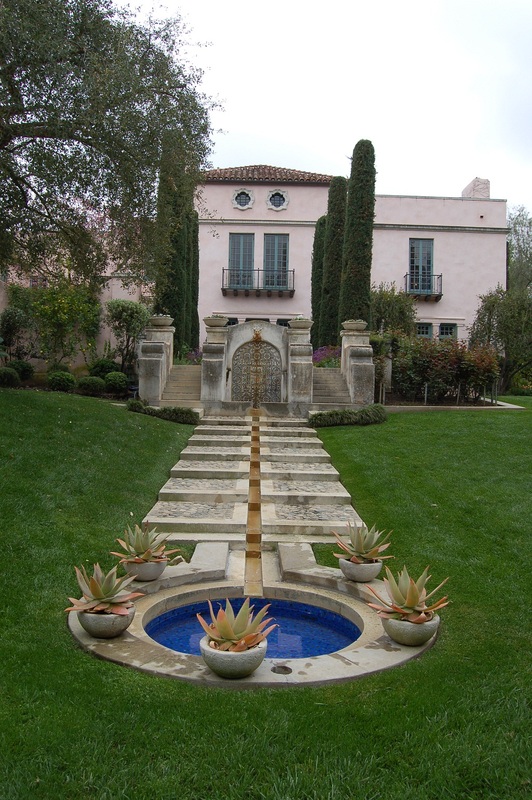 Herbert Coppell Garden Water Feature, a component of Pasadena summer home Mi Sueno,is a component of a former designed garden built in 1916 to a design by landscape architect Paul Thiene. 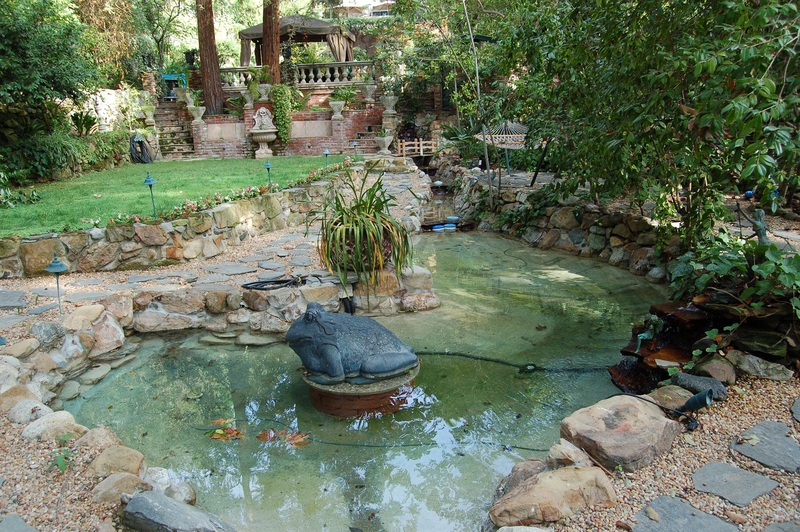 The 83 foot long water feature is the only surviving element of the garden. Ira & Margaret Byner Garden is a 1928 private residential garden designed by Florence Yoch and Lucile Council. 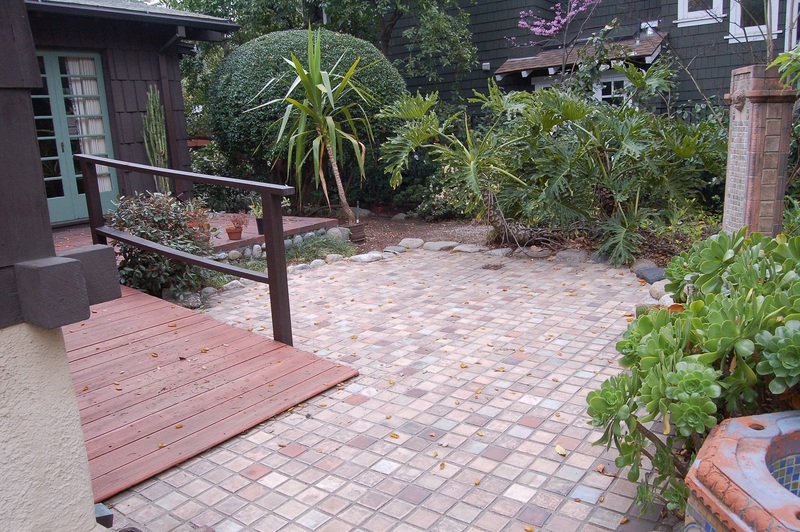 The garden is asymmetrical in plan and includes a fountain, lawn area, gazebo, rose garden and terraces of Arroyo stone and concrete retaining walls. Reynolds, Kenyon & Patricia (Pfitzer) Garden is a private residential garden deisgned in 1928 by Katherine Bashford on a triangular-shaped lot. The gardens are asymmetrical in plan and designed as English gardens to correspond to the Tudor Revival architecture of the house. 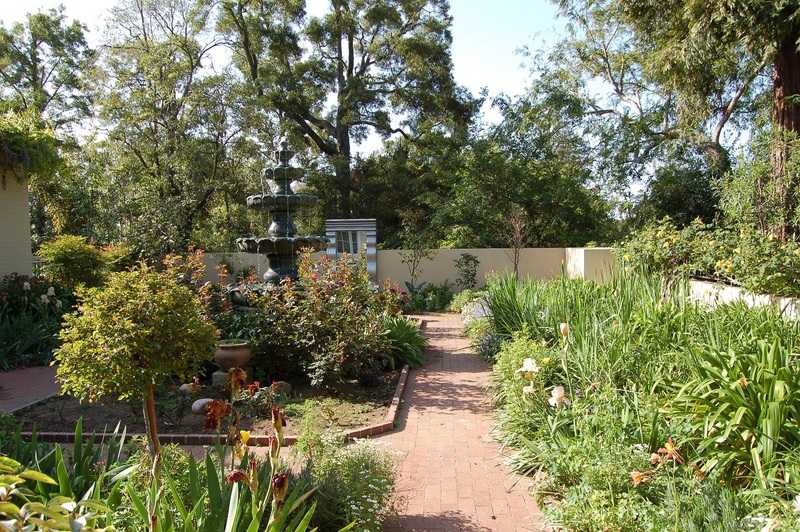 Upper Busch Gardens Cultural Landscape Historic District is a group of single-family residences that have remnant features of extensive botanical gardens built on the estate of Adolphus and Lily Busch. Lower Busch Gardens Historic District is a group of single-family residences that have remnant features of extensive botanical gardens built on the estate of Adolphus and Lily Busch. The Lower Gardens were developed at different times and had were of different visual character than the Upper Gardens. George Hansen House, is located in Anaheim, Orange County. Also known as the Pioneer House of the Mother Colony, it is a hall-and-parlor folk house constructed in 1857. 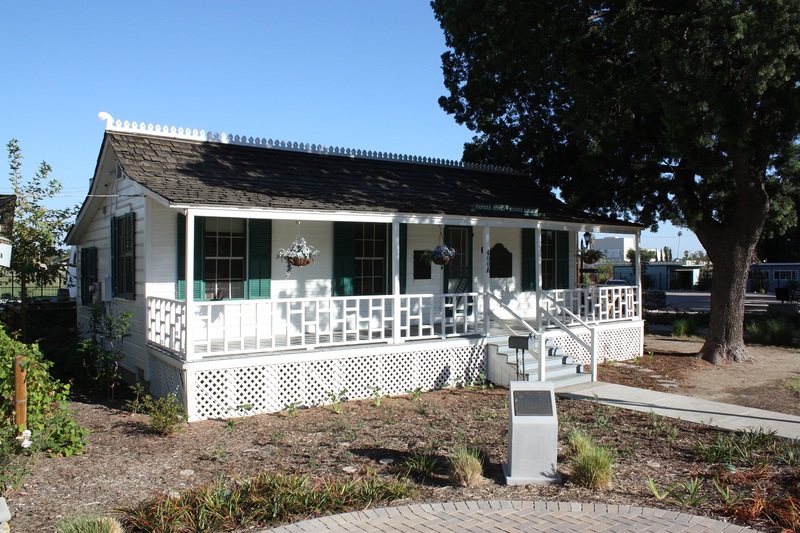 The building was relocated in 1928 and has served as a house museum interpreting the early history of Anaheim since its relocation. 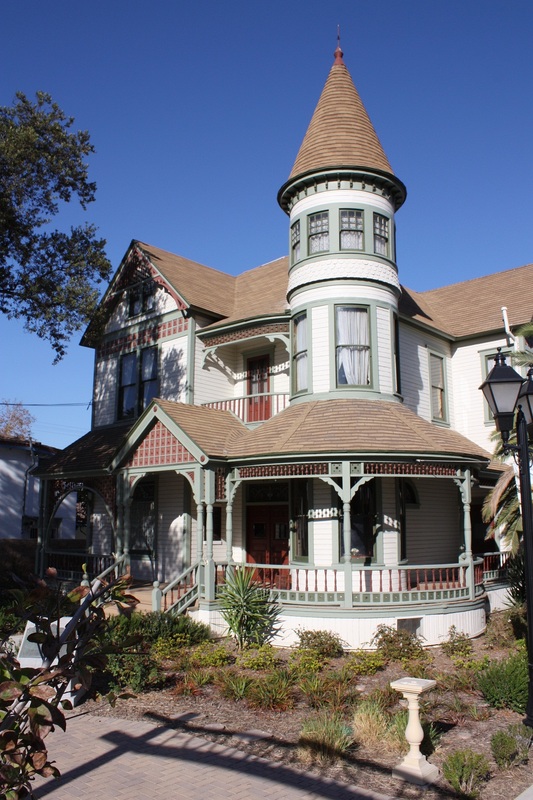 John Woelke House is an 1896 Queen Anne house designed by George Franklin Barber and located in Anaheim, Orange County. It was relocated to its current site adjacent to the Hansen House in 1949, and serves as a house museum. 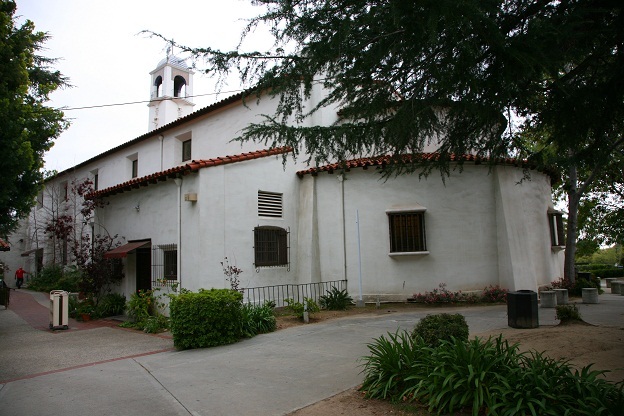 San Juan Elementary School, located in San Juan Capistrano, is the first elementary school established in Orange County, established in 1850. A series of school buildings were constructed on the site, the most recent in 1965. 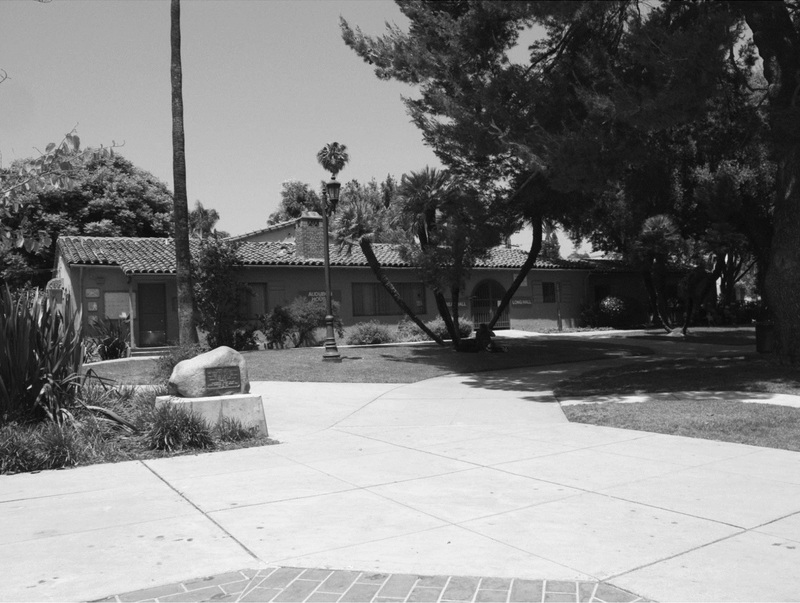 A 1947 teachers' residence and a bronze bell, formerly mounted in a Mission Revival style school building on the site, are contributing features of the property that marks the site of the school. The SHRC considered the following nominations at their regularly scheduled hearing on August 2, 2013. They recommended the State Historic Preservation Officer (SHPO) forward 5 National Register nominations to the Keeper of the National Register for listing, 2 National Register nominations for determination of eligibility, 1 for relocation of a listed property, and 1 removal of a contributor from a National Register listed property. They also added one property to the California Points of Historical Interest and California Historical Landmarks program. 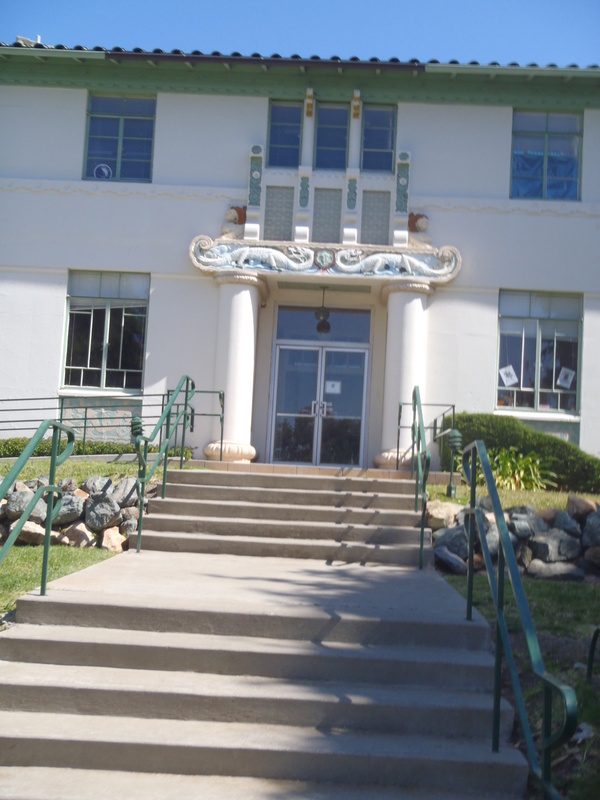 Chung Mei Home in El Cerrito, Contra Costa County, was a boarding school constructed in 1935 for orphaned Chinese-American boys. This facility replaced an earlier home in Berkeley, and served as a home and school for over 700 boys until its closure in 1954. Rubel Castle Historic District is located in Glendora, Los Angeles County. 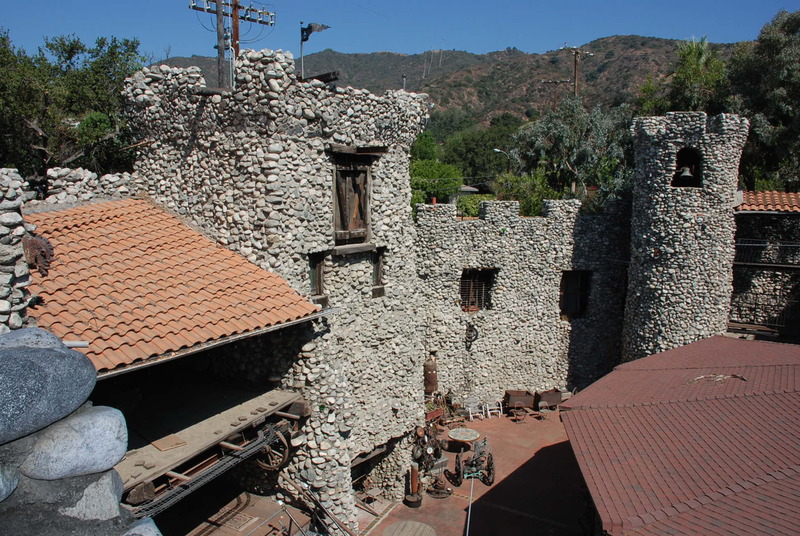 The property includes a rare remnant of southern California's citrus industry, a 1910 fruit packing house, with a unique folk art environment, Rubel Castle or "Rubella," a monumental and widely recognized building constructed by self-taught artist, architect and engineer Michael Rubel from 1959 to 1986, and a collection of associated buildings, structures and objects on the site. Strathmore Apartments Completed in 1937, the Strathmore Apartments is eligible for individual listing in the National Register of Historic Places at the state level of significance as one of California’s highest quality examples of a courtyard garden apartment complex designed in the International Style executed at an exceptional level of artistry. Bono's Restaurant. In order to maintain National Register status, Pursuant to Federal Code of Regulations 36 60.14 (b) Mr. Joseph Anthony Bono, the owner of Bono’s restaurant, is requesting approval to move his building approximately twenty feet south-west of its current location. The Keeper of the National Register listed Bono’s Restaurant on January 10, 2008. 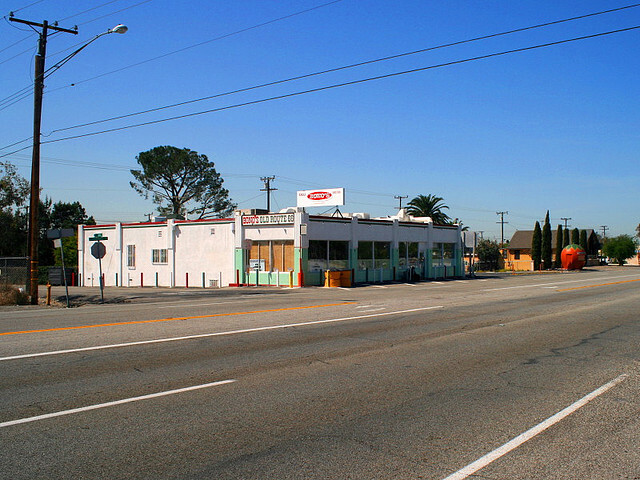 An iconic landmark, Bono’s is significant for its association with the history of Route 66. 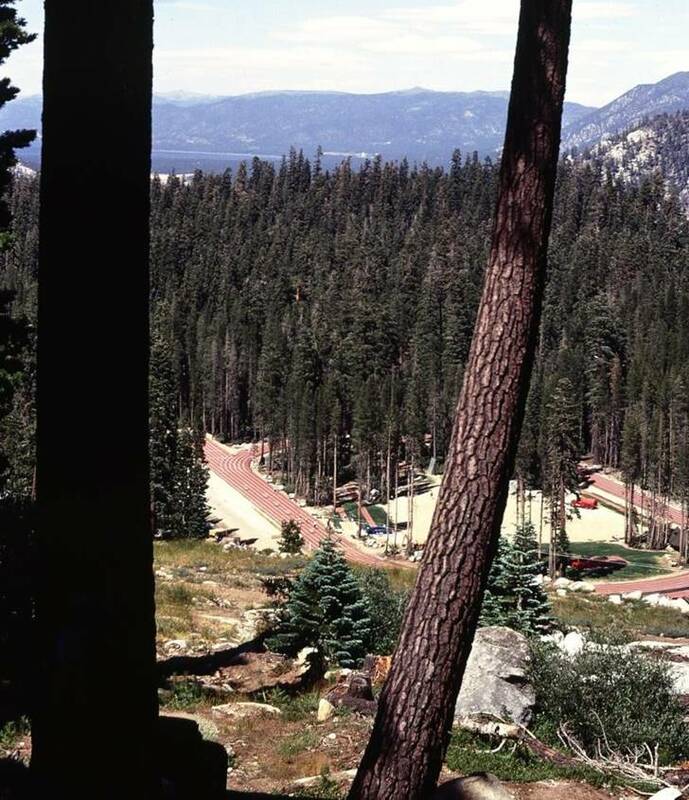 Site of Echo Summit is located in El Dorado County outside the city of South Lake Tahoe. A temporary racetrack and training facility was located here in the summer of 1968 to allow American athletes to train at altitudes equivalent to those at the 1968 Olympics, held in Mexico City. Media attention was drawn to the site, both due to the Olympics and the politics of the era. The site is significant for its association with sports history and civil rights history, having a profound influence on the history of California. 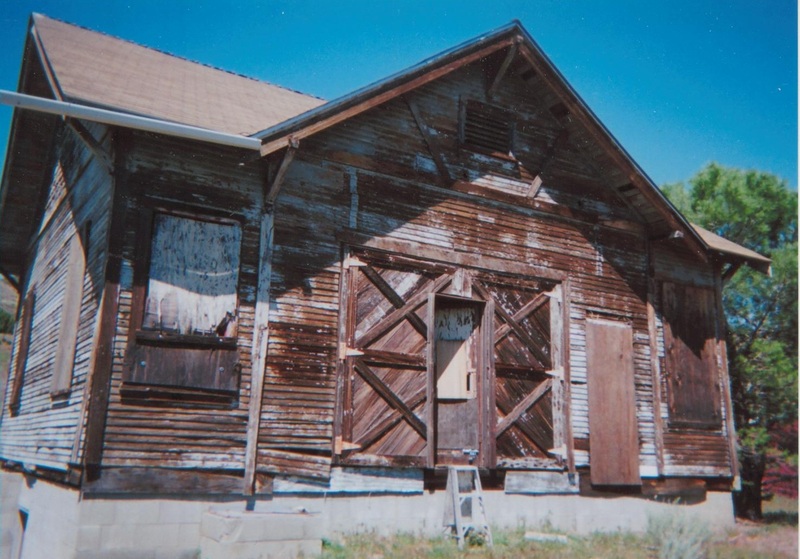 Leona Valley Schoolhouse is significant as one of the last representative intact examples of early twentieth century country one-room schoolhouses in the rural areas of Los Angeles County. It is associated with the development of the rural public school system in the Antelope Valley area of Los Angeles County and served as a community meeting place. The SHRC considered the following nominations at their regularly scheduled hearing on November 8, 2013. They recommended the State Historic Preservation Officer (SHPO) forward 7 National Register nominations to the Keeper of the National Register for listing. They also approved two new California Historical Landmarks and updated one existing California Historical Landmark. Bald Eagle Ranch House. 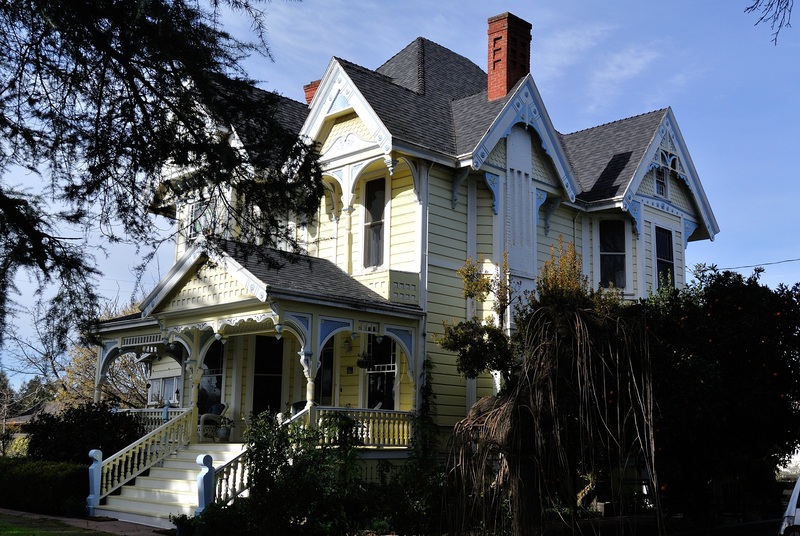 Constructed in 1893 using plans purchased from George Franklin Barber’s mail order catalog, the Bald Eagle Ranch House is a large, two story Queen Anne house located in Modesto, Stanislaus County. 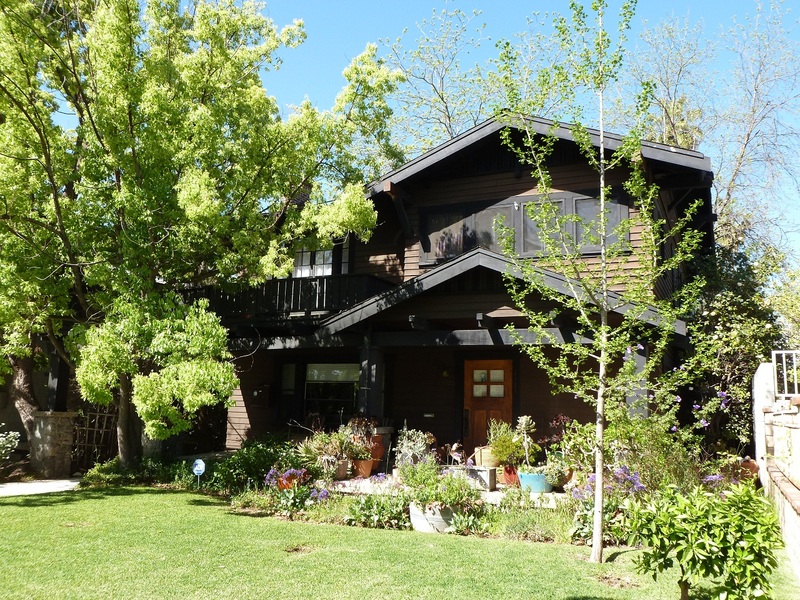 Once the center of a farming operation of more than 4,000 acres, the Bald Eagle Ranch House is eligible for the National Register for its association with the development of agriculture in Modesto. Lasky-DeMille Studio Barn. Constructed in 1901 and converted to motion picture use in 1912 the Lasky-DeMille Barn is the oldest structure associated with the film industry in California and the last extant structure associated with the Famous Players Lasky Studio in Hollywood. 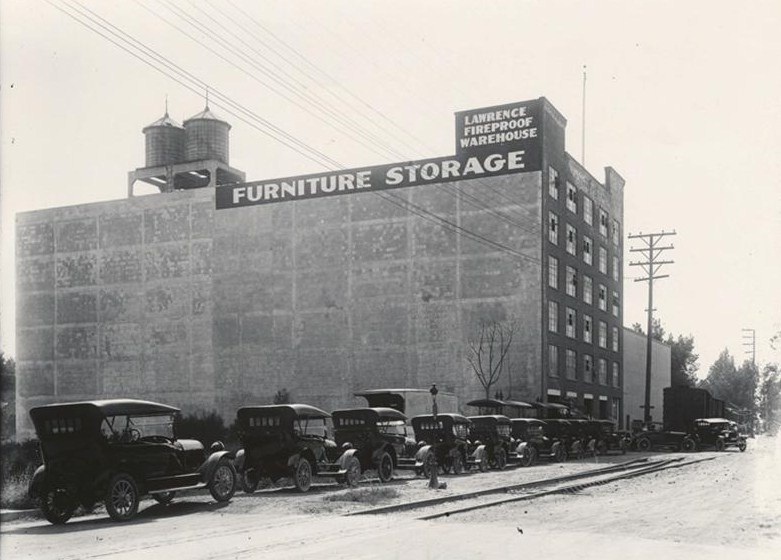 Lawrence Warehouse is a five-story reinforced concrete warehouse located in Sacramento along the R Street railroad corridor, built in 1914-1915. The property was designed by master architect Clarence Cuff and used as a transfer warehouse storing products ranging from rice to Model T automobiles. Mutual Savings Bank Building is one of the finest examples of French Renaissance Revival style architecture in downtown San Francisco, and one of the most prominent local examples of architect William Curlett’s work. 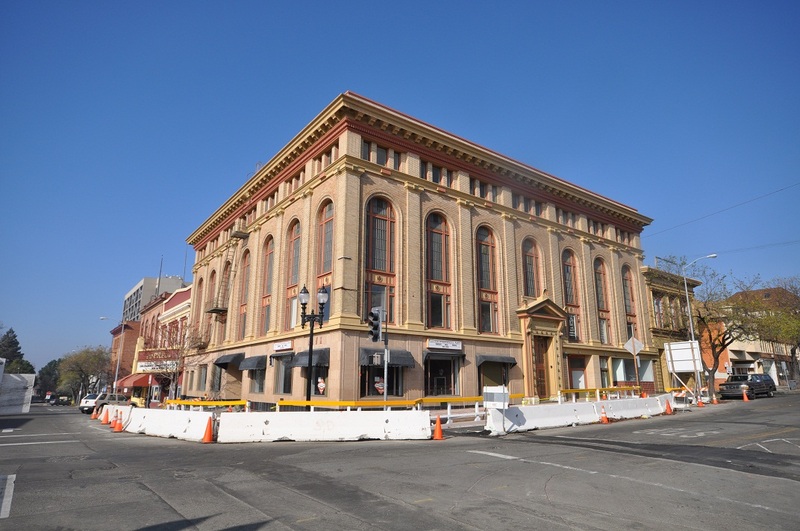 The 1902 building survived the 1906 San Francisco Earthquake and Fire with little structural damage, and was rapidly reconstructed. 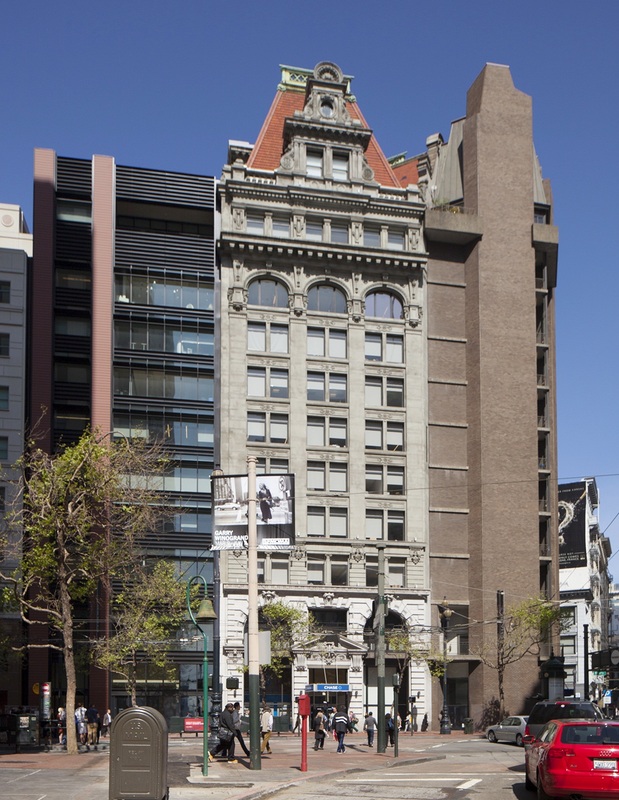 Charles Moore’s 1964 remodeling and Annex addition to the building is a notable example of an early adaptive reuse project in San Francisco and one of the earliest examples of Postmodern contextual design during the Postwar period. A certified rehabilitation project, designed by Charles F. Bloszies and constructed between 2009 and 2013, is contemporary in style and designed to be compatible yet visually subservient to the adjacent 1902 building. Memorial Hall Crockett. Located in the small community of Crockett and dedicated in 1925, Memorial Hall is associated with the national and regional effort to commemorate veterans of World War I through the construction of local monuments and memorial halls. Completed through the efforts of Crockett citizens with the assistance of C. & H. Sugar, Memorial Hall stands apart from other memorials in its unique style as a small, Classical Revival octagonal meeting hall. Pereira Octagon Barn is a former dairy barn built in 1906 and used for that purpose until the mid-1950s. 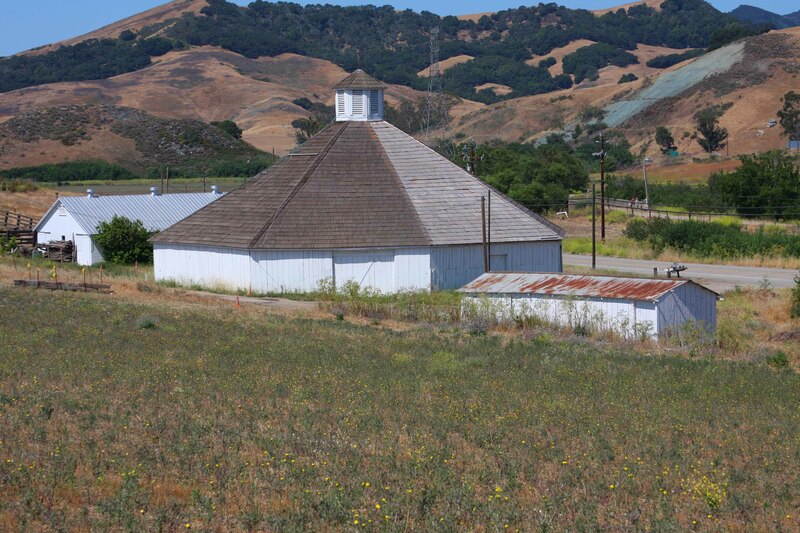 The barn is a rare manifestation of Octagon Style architecture and one of the only examples surviving in California. The barn is located in San Luis Obispo, in a farming region best known for its dairy products. 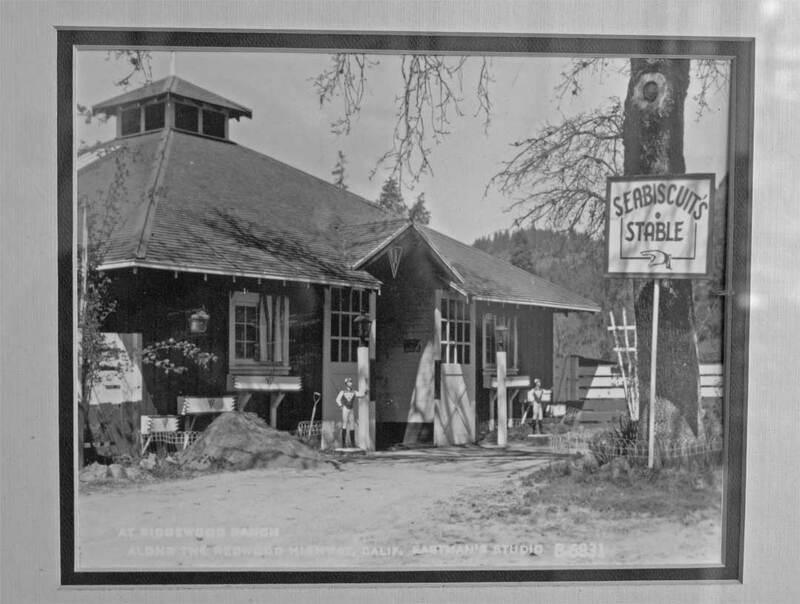 Seabiscuit Stud Barn, located in Willits, Mendocino County, is the retirement home of legendary racehorse Seabiscuit, built by Seabiscuit's owner as a place of honor and functional horse barn. The horse lived in the barn from 1940 until its death in 1947. The site became a tourist attraction for horse racing fans. 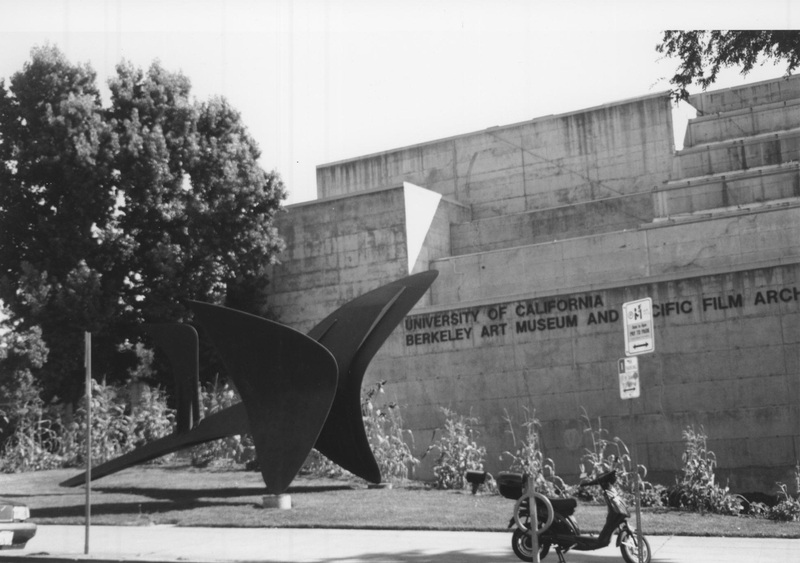 University Art Museum, Berkeley, Alameda County, is significant at the local level in the areas of art and entertainment/recreation for its association with the development of art and film in the San Francisco Bay Area. It is also architecturally significant at the local level for its embodiment of Brutalist style including sculptural massing, board-formed concrete surfaces, and deeply recessed window walls. Crystal Cove Historic District was listed in the National Register of Historic Places in June 1979 for its exceptional significance as a unique self-contained Southern California coastal community with a vernacular character as well as architectural and construction style that has remained intact since the 1930s. Many of California’s coastal cities began as recreational communities. Post-World War II development changed the nature of most of those communities, especially in Southern California. Crystal Cove is eligible as a California Historical Landmark as the last historical property of its type in that region. The district includes 46 wood frame buildings and associated landscape features located in a natural cove at the mouth of Los Trancos Canyon on the Pacific Ocean. The district forms a self-contained neighborhood of 12.3 acres within the nearly 3,000-acre Crystal Cove State Park. 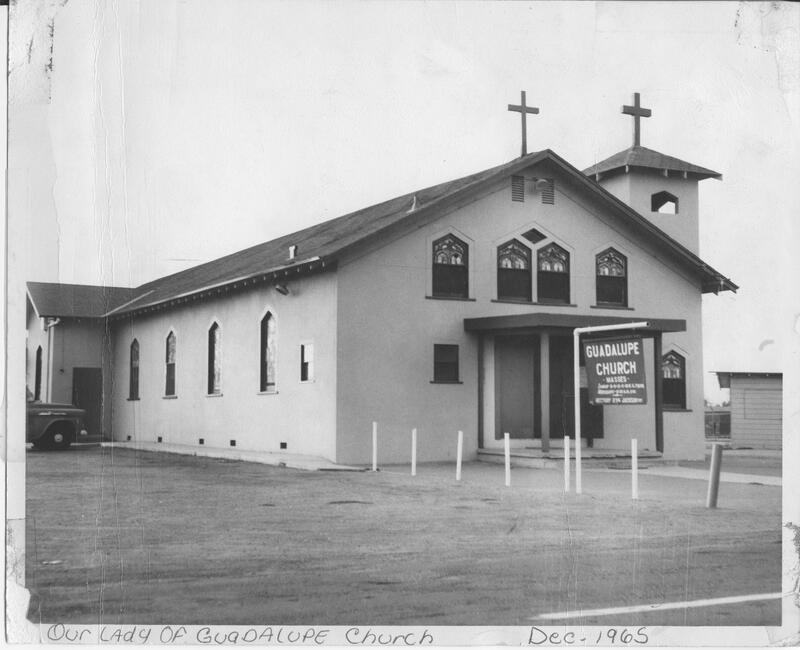 Mission Guadalupe served as the first parish in the impoverished and largely Latino community of East Side San Jose starting in October, 1953. The building was originally built in 1911 and moved to Kammerer Avenue in 1953. The building was directly assocaited with Cesar E. Chavez during his early years as a community organizer for the COmmunity Service Organization and the eariest days of the new organization that became United Farm Workers. The building was relocated to a nearby site in 1974 and has undergone modification but remains a tangible link to Cesar Chavez's activism as a beacon of social justice for the Mexican immigrant community of San Jose. 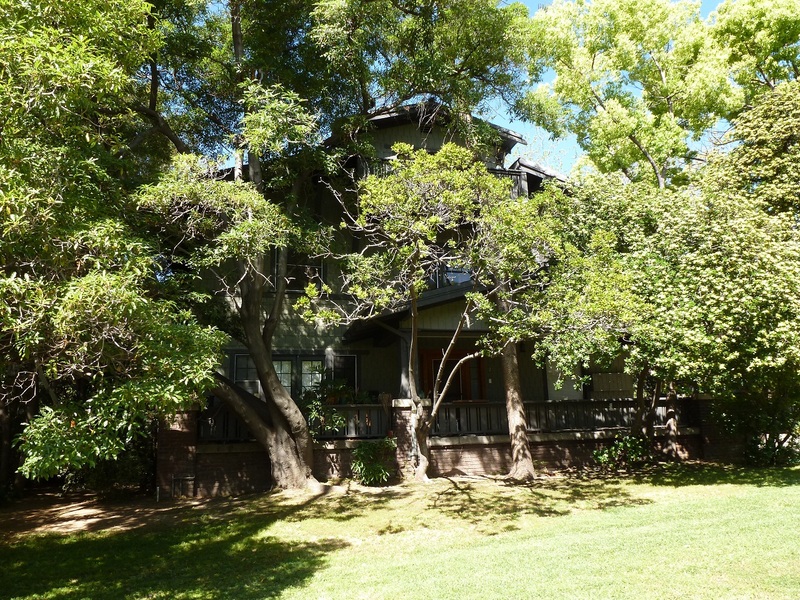 Vernon-Brannan House is an update of California Historical Landmark #604, "Site of Sam Brannan House." The property was the site of Sacramento's first post office, and the existing building was the founding site of the Society of California Pioneers. 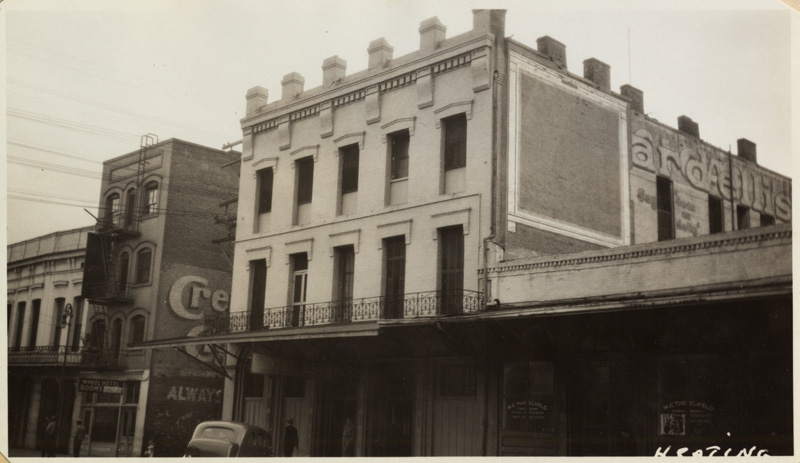 The site was owned by California's first millionaire Sam Brannan, who later repurchased the site and raised the building to Sacramento's elevated street level in the 1860s.